At some point(s) this year, it will be time to pour a glass. Maybe it was a bad day, maybe there is a cause for celebration, or maybe it&apos;s just because. When that time comes, we want you to feel confident in your drink selection. Happily carve out some time to go wine tasting at Vino Venue. 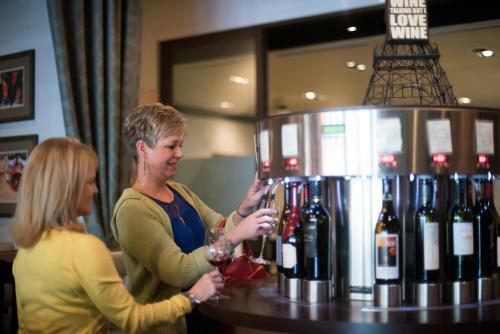 For a wine tasting experience like no other, be sure to use their self-serve wine machines. You swipe your card, place your glass under the spout, and let the good times flow. It sounds like a gumball machine for adults, and it&apos;s simply genius. Guests can also enjoy an extensive menu of seasonal dishes and flavorings, along with a carefully curated selection of charcuterie at this intimate wine emporium. If you are ever in Dunwoody with a sweet tooth, then you are definitely in the right place at the right time! There are plenty of options for you to get your fix, from the baked goodness at Alon&apos;s Bakery & Market and Ali&apos;s Cookies to Zukerino&apos;s pastries or the handspun gelato at Novo Cucino. 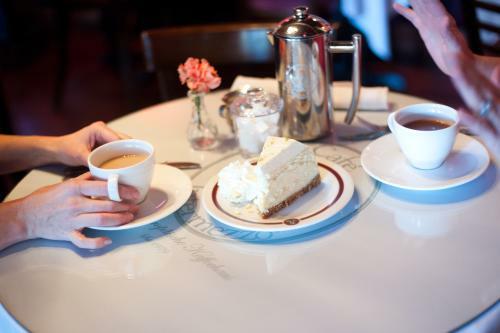 Venture into Cafe Intermezzo or The Cheesecake Factory to browse a carousel of cakes. Carousels of any kind are always fun - but cake ones are indisputably the best. No, we meant the good kind of drama. The kind where you get lost in an unforgettable show. 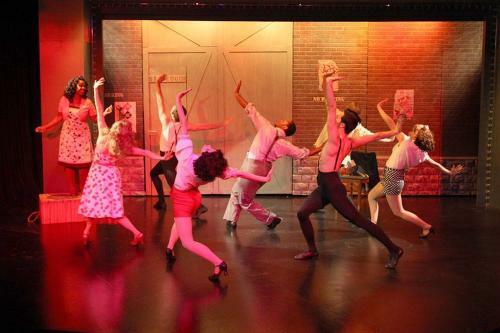 The Stage Door Players, Dunwoody&apos;s own award-winning professional theatre group, produces a full season of popular, compelling and entertaining works. The production list for this season includes "The Last Night of Ballyhoo," "Secrets of a Soccer Mom," "Ain&apos;t Misbehavin," and "Laughter on the 23rd Floor." 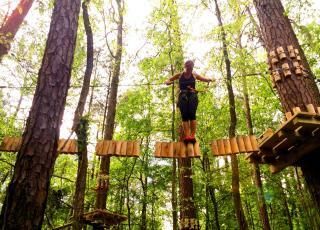 Sure we can all take a walk in the park, but how about taking things UP a notch? 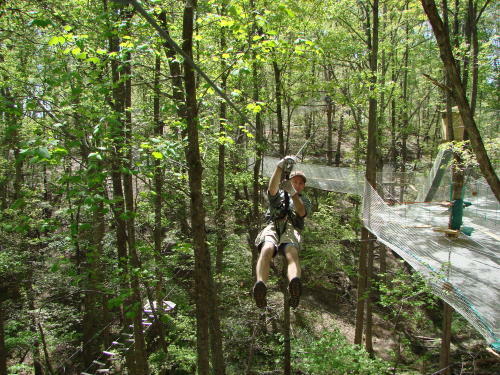 Zipline with Treetop Quest at Brook Run Park to see Dunwoody by day at 55 feet above the ground. Alternatively, you can stay grounded and test out your night vision at one of the Dunwoody Nature Center&apos;s Night Hikes. We want to see whatever adventure you end up choosing, so be our friend and share some photos with us! Retail therapy your way out of 2018. Hit Perimeter Mall as it opens and grab a breakfast pastry at the food court. Experience the joy of accomplishment as you check item after item off your list (clothes, home, gifts, etc.) 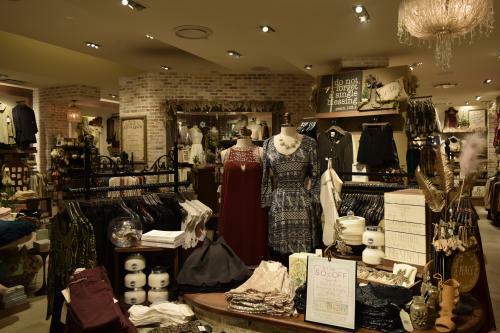 Some new must-stop-shops are Kendra Scott, Lolli and Pops, and Altar&apos;d State. 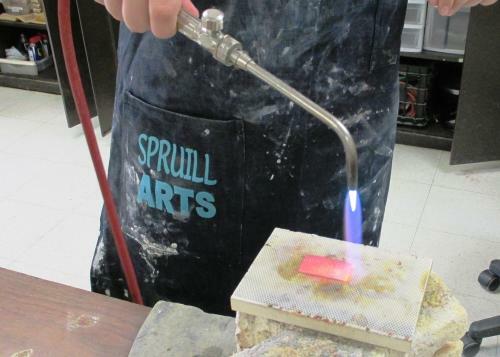 All three stores are extremely fun to frequent and each one offers a unique experience beyond the typical retail establishment. Stay for lunch (or dinner, because it is quite possible to end up spending the entire day at the mall...not that we&apos;ve done that before or anything) with Shake Shack, Maggiano&apos;s Little Italy, The Cheesecake Factory, and Cinco Mexican Cantina right next door. 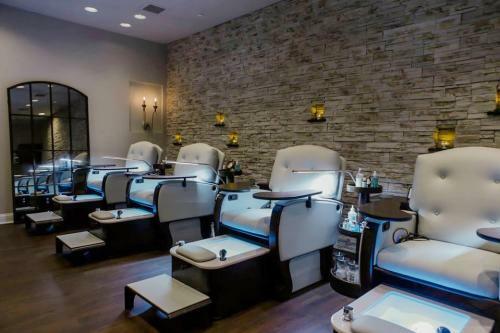 Most importantly, you should end your shopper&apos;s delight with a visit to the new Woodhouse Day Spa, which is also conveniently located inside the mall. Now do you understand why we may or may not have spent an entire day at the mall a few times? Life is too short to skip sophisticated dining experiences. Oblige yourself to the decadent luxuries that McKendrick&apos;s Steak House, Seasons 52, Capital Grille, and Carbonara Trattoria have for your dining pleasure. 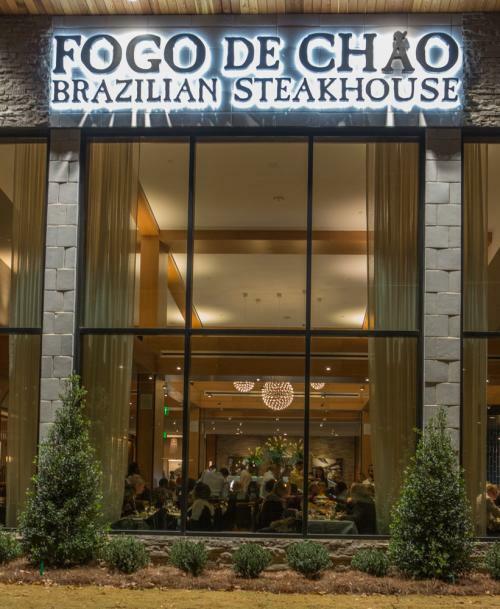 Dunwoody is now the home of a new Fogo De Chao, so definitely be sure to include this Southern Brazilian steakhouse on your list of indulgences as well. Okay, now that we have supplied the bucket list, everything else is on you. The first step is usually the hardest, but in this case, all it takes is a trip 10 miles north of Atlanta. The new year brings plenty of new reasons to #DiscoverDunwoody, so let&apos;s party like it&apos;s 1999 2019!